Homo sapiens is the only species with highly evolved cognitive ability and sociality. In recent years, researchers have made rapid advances in studies of monkeys and apes, which have a close genetic relation to humans. In particular, laboratory research into cognitive abilities from the perspectives of evolutionary psychology and comparative cognitive science has achieved significant results. 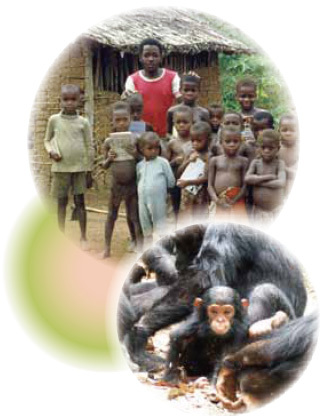 In this joint research project, we approach the origin of human sociality from an empirical perspective based on field data from such disciplines as anthropology (mainly social/cultural anthropology and ecological anthropology) and primatology (mainly wild primate ecology and wild primate sociology). We aim to achieve a comprehensive understanding of hominization — the epoch-making event in the history of human evolution — in addition to the latest knowledge about cognitive ability.